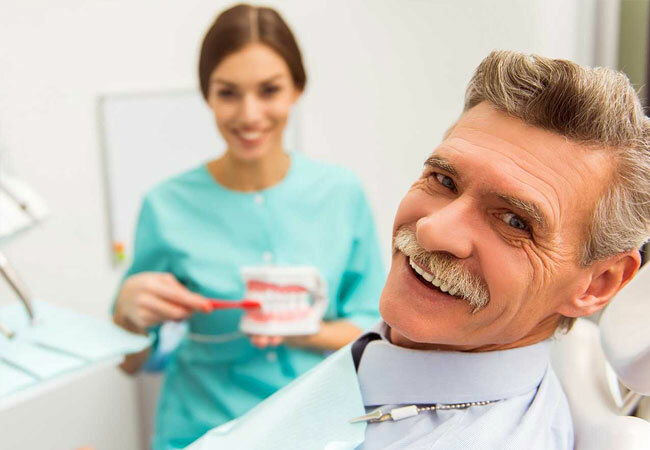 Geriatric patients have underlying medical conditions, which make dental treatments difficult to perform. Additionally, they are anxious and fearful of dental treatments as well. Our team of specialists manage these patients through counselling, and if required perform treatment under sedation in collaboration with Thumbay Hospital, Ajman. As we are associated with Thumbay Hospital, Ajman, patients with underlying medical conditions are treated there, thereby mitigating the risk of complications.